After the arrest of two black men at a Philadelphia shop the $84 bln chain will shut some 8,000 U.S. outlets for an afternoon of racial-bias education. The swift response, perhaps costing $20 mln in lost latte sales, backs up Starbucks’ social goals and offers a lesson to others. 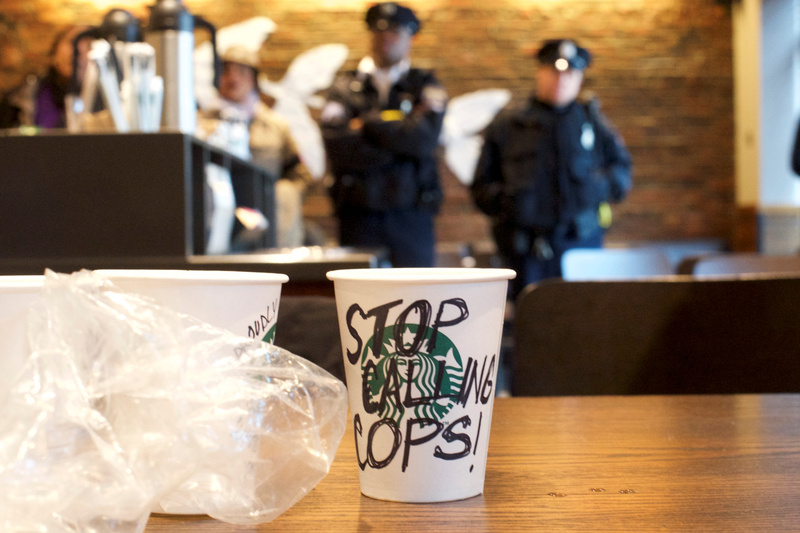 A Starbucks coffee cup with "Stop Calling Cops!" written on the side sits on a table as police monitor protestors demonstrating inside a Center City Starbucks, where two black men were arrested, in Philadelphia, Pennsylvania U.S., April 16, 2018. Starbucks on April 17 said it would close all of its more than 8,000 company-owned stores on the afternoon of May 29 to conduct racial-bias training with nearly 175,000 employees. The move follows the arrest of two black men who were sitting at a Philadelphia shop waiting for a friend on April 12. In a message to employees, Chief Executive Kevin Johnson apologized to the men for what he called “a reprehensible outcome” and promised to review company practices to prevent similar incidents in the future.